FAQs - Northern Shores Community Development, Inc. The Community Development Financial Institutions (CDFI) Program was established by the Reigle Community Development and Regulatory Improvement Act of 1994 to use federal resources to invest in and build the capacity of CDFIs to serve low-income people and communities lacking adequate access to affordable financial products and services. Since its inception, the Fund has made more than $500 million in awards to loan funds, banks, credit unions, and community development venture capital funds. 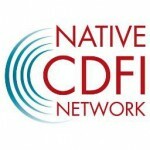 CDFI certification is a designation conferred by the CDFI Fund of the United States Department of Treasury, and is a requirement for accessing financial and technical award assistance from the CDFI Fund through the CDFI Program to support an organization’s established community development financing programs. A certified CDFI is a specialized financial institution that works in market niches that are underserved by traditional financial institutions. How do I apply for a Business Loan? The application process begins with meeting with the Executive Director or Loan Officer to review the status of the business and the required loan documentation necessary prior to completing an application. Are there fees to apply for a micro-enterprise loan? As an unconventional lender, Northern Shores Community Development, Inc. recognizes that often the deterrent to seeking financial help is the fees associated with a loan. Northern Shores Community Development, Inc has minimal application fees; small loans under $5000 require a $30 application fee, and larger loans $5000 or more require a $50 application fee. Can I make a donation to Northern Shores Community Development, Inc.? We encourage supporters of our mission to assist entrepreneurs of Northern Michigan through contributions to our organization. As a 501c(3), nonprofit organization recognized by the Internal Revenue Service and Michigan authorities, donations are always welcome. Federal identification number is 37-1548658. Donations are deductible to the extent allowable by federal and state regulations. What types of technical assistance does Northern Shores Community Development, Inc. provide? We offer a variety of development services for start-up and existing businesses such as business plan development, credit counseling, cash flow analysis, web based marketing , business tax preparation, accounting principles and more. Northern Shores Community Development, Inc. Copyright © Northern Shores Community Development, Inc.